Elf Junior - The Musical! It’s time to celebrate the festive season with one of the most hilarious and fun filled musicals of today! In Association with Manx Radio, All Island Theatre Company present Elf Junior the Musical at Ballakermeen Studio Theatre on Thursday 1st, Saturday 3rd and Sunday 4th December - featuring rising stars of the stage aged between 7 – 17. Based on the holiday film, this hilarious fish-out-of-water comedy follows Buddy the Elf on a quest to find his identity. Suitable for all the family, the show promises to be action packed and guaranteed to get you laughing along! 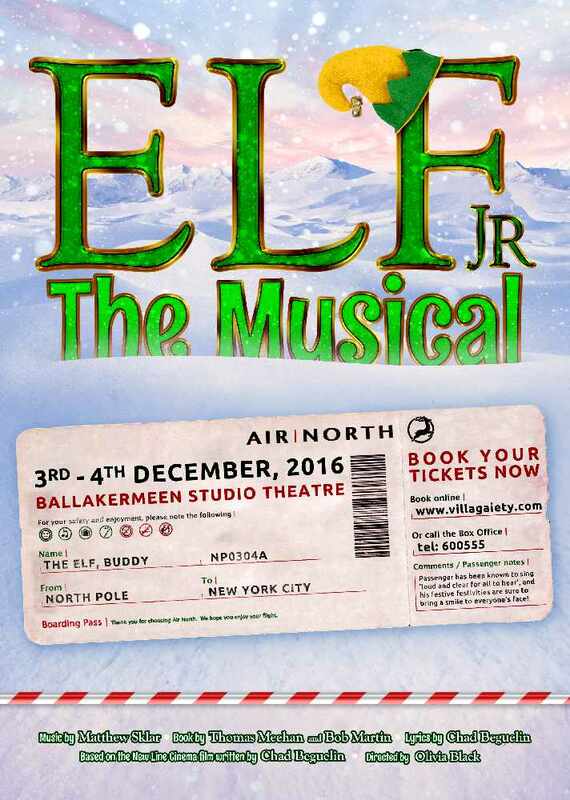 Get your tickets for Elf Junior here or call the box office on 600555 – and we’ll see you at the North Pole!